AYPO Tech is the place for water operators in Rhode Island to find continuing education courses. The courses we provide deliver training on drinking water operations which is comprehensive, informative, and practical. Courses offered by AYPO Tech have been approved by the State to count as contact hours that a water operator will need to complete in order to be permitted to renew their license. What are the CE requirements for Rhode Island water operators? Our courses are approved by the Drinking Water Operators Board of Certification and will meet your continuing education needs. Save on our 20 Hour CE Package. Includes: Surface Water (3 Hours), Source Water (2 Hours), Coagulation (3 Hours), Sedimentation (3 Hours) Disinfection (2 Hours), Corrosion (3 Hours), Oxidation (2 Hours) and Membrane Processes (2 Hours). 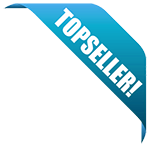 Save on our 10 Hour CE Package. Includes: Sedimentation (3 CEH), Corrosion (3 CEH), Oxidation (2 CEH) and Membrane Processes (2 CEH). Pipelines is a course that outlines the many important considerations necessary when operating, installing or maintaining a water distribution pipeline system. This course will fulfill 2.5 of your required hours for Rhode Island water operators. Distribution System Water Quality Issues is a course designed to introduce the many issues that are present in order to achieve and maintain a safe and high quality water supply in a distribution system. 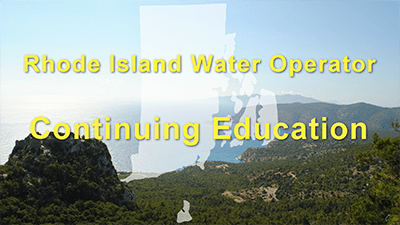 This course will fulfill 2 of your required hours for Rhode Island water operators. Groundwater Wells is an introductory course that covers 2 concepts from well water sources, 1) the basic components and operation of groundwater wells and, 2) the fundamentals of maintaining safe drinking water from groundwater wells. If the course material, content, instructor, or length changes, please resubmit to us for an updated approval.